Making memories with your mates – 5 top activities to do together. Laughing with our mates and sharing fun experiences together is a tonic for life. We store the experiences in our memory bank and little triggers will pull them out every so often making us laugh and smile. The more we have the happier we are! These positive feelings also create life long bonds with the people we shared the experiences with consolidating our friendships and relationships. There are lots of activities that lend themselves to these experiences but in general, the strongest memories are made when our emotions are high – when we push ourselves out of our comfort zone, achieve something we didn’t think we could do, or make ourselves laugh a lot! Outdoor activities are ideal for generating these emotions! Mark and nine of his close mates were all due to celebrate their 30th birthdays in the same year. Usually each birthday would consist of a weekend doing a fun activity together like karting or clay pigeon shooting followed by a good session down the pub! With some friends now with young families and the financial commitment of ten heavy duty weekends over the year, the reality of getting all ten friends for all ten weekends looked doubtful. 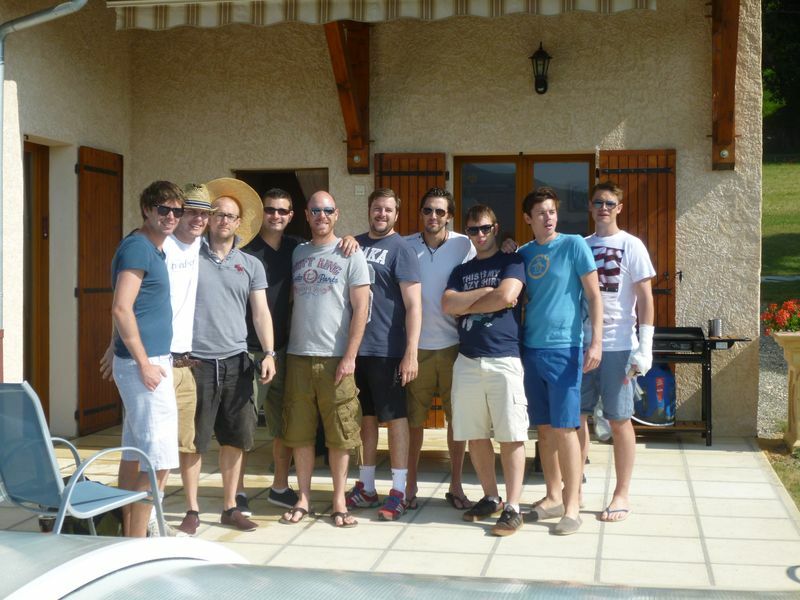 Mark and his mates started to think out of the box and decided to consolidate their weekends in to one big activity holiday abroad! That way they would get a full week of quality time together, be able to do activities they would never get to try in the UK and save money as the cost would be cheaper than ten weekends in the UK! They got in touch with Undiscovered Mountains and put together a week of adventures in the Alps! Here are their thoughts on why they chose an activity holiday and their top 5 activities! The feeling of achievement after a full day of activity. Unrivalled. The moment at dinner when you sit down with the group, all with different stories to tell and jokes to share. Even when you've all done the same activity, there will be different perspectives of what happened and bits that everyone else has missed. The photos and the memories that you wouldn't get from just lounging on a beach or by the pool. The camaraderie and bonding that the activities inevitably bring. What were the best activities? Mountain biking: the feeling of complete achievement when you sit in the bar afterwards with a cold beer and look at the enormous mountain you've just spent the day forcing yourself up, and the last ten minutes free-wheeling down. White water rafting: as above, the team work necessary to keep on course and right-way-up. Just being able to get the raft in to the right stopping point on time and get out in one piece. It requires true teamwork and thatis the best part. 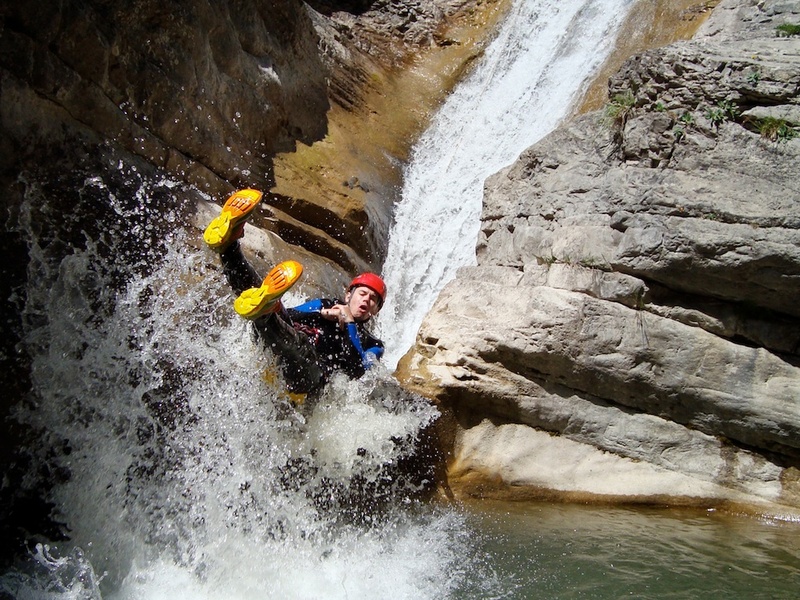 Canyoning: being able to see areas of the country you would NEVER otherwise be able to see. Standing at the top of waterfalls looking across the hills and forests. If you were on a 'normal' holiday then how much of that would you honestly see from a hotel/bar/road? As I said above, what makes it is the sitting down in the evening to a decent meal and bottles of wine, with everyone laughing and joking about all the things that have happened, most of which was missed by everyone else. There are still times in the pub now when one of the guys will say "Do you remember that time in France when..."